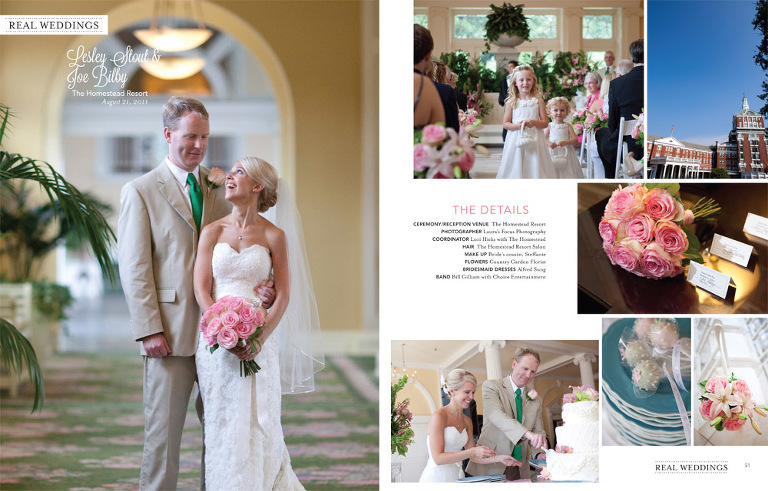 Lesley & Joe’s wedding at The Homestead was featured in the latest Wedding Planner Magazine! The spread is below and their blog story can be seen here. The pink and green colors made for a gorgeous summer wedding! © 2019 Laura's Focus Photography|ProPhoto Blogsite|Designed by Seaside Creative.